There are plenty of reasons to use a credit card � convenience, accountability and safety among them � but when is it better just to step away from the swiper? 1. After midnight. Paraphrasing Eric Clapton, after midnight tends to be when people let it all hang out � even financially. "After midnight is the time you get into more trouble rather than making a sound financial decision. If you're at a club or casino, just go home," says Michael McAuliffe, president of Family Credit Management in <?xml:namespace prefix = st1 ns = "urn:schemas-microsoft-com:office:smarttags" />Chicago. Put the card away and take another look in the morning. 2. When you're near your credit limit. "You don't want to be even within a couple hundred of your limit or your credit score will go down," says Mary Ellen Nicol, counselor with CredAbility in Atlanta. If you're getting too close to your credit limit, ask your credit card company to raise your limit, switch to a card with a lower balance or find another way to pay. 3. When considering an extended warranty at the car dealership. You can probably get a better deal if you roll the warranty cost into the car loan. Even though you may have a slightly higher monthly car payment that way, wrapping it into a secured loan likely still beats paying high interest for it on your credit card, says David Johnson, bankruptcy counseling director at ClearPoint Credit Counseling Solutions in Los Angeles. 4. If you're paying off one card with another, and it's a habit: "If you're swapping your debt every six months, that's going to show up on your credit report," Bowne says. If it's a one-time thing, consider whether the offer is too good to be true. "Transfer fees have gone up at least a percent on average in the last year," Bowne says. "We're talking about 4 percent of your debt you're going to pay up front just to transfer the debt." Be clear on the rate you will pay after the promotional rate ends. It could be higher than the rate you're trying to escape from, she warns. 5. At a flea market: "It used to be that you always had to have a wad of cash. Now, through the magic of technology, some guy selling rickety, old wagon wheels can take your credit card," Williams says. This is the kind of purchase where convenience doesn't outweigh the risk, she says. Bring the cash. 6. If you think you're building your credit history: David Beddoe, counselor with American Financial Solutions in Seattle, says he hears that a lot. While your credit score goes up if you pay off the purchases you make, putting items on a credit card without paying them off will have the opposite effect on your score, he says. 7. If you can't pay for half of the purchase with cash on hand: Say you need new tires, Nicol says. If you don't have half the money right now to pay for the repairs, wait until you do. Then charge the purchase, pay off half right away and make a plan to pay the rest in one to two months. In the case of tires, you probably knew you needed them months ago and that would have been the time to plan ahead for the expense, she says. Check out public transportation or reduce your driving and save until you can afford at least half. 8. When it's all about the rewards points: Rewards points "should be nowhere in the equation for making that decision or not making it," says Michael McAuliffe, president of Family Credit Management in Chicago. "Base your decision on the merits of the purchase." Otherwise, you will tend to overspend. If you want to finance a vacation, skip the coffee or dessert or find cheaper parking and put away $5 a day for a year, he says. 9. When you think prices may drop: "For many things in our society, we're starting to see deflation. If you think it's going to cost less in three months, why start paying interest on it today?" McAuliffe says. 10. To buy something from a website with an obscure foreign extension: Don't charge online if you don't know who you are dealing with, says Catherine Williams, vice president of financial literacy for Money Management International. "While you always have protection under the Fair Credit Billing Act, the damage that can be done during that 30 days (until you see it on your bill) is just crazy." Study the website -- watch for suspicious wording � to make sure it is legitimate. 11. If you don't have a plan for paying it off: "We always recommend paying a purchase off in no more than three months. Without a game plan, you're playing credit card roulette. That's when people get into trouble," says Kathy Virgallito, a regional director for Apprisen Financial advocates. 12. If you're charging things that you used to pay cash for: That's a red flag that you're getting overextended, Virgallito says. 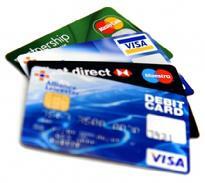 You need to review your credit card statements and identify where the budget issues are. If you're suddenly having more car repairs or travel expenses to visit a sick relative, you may need to create a specific savings account for those things rather than relying on credit, she says. 13. When you feel that you'll save money by purchasing something you want rather than need. Beddoe gives the example of someone saying, "If I buy this 60-inch TV right now, I can save $200 on it." If you never planned to get that TV in the first place, it's hardly a savings, says Beddoe. 14. When the temptation for a big impulse buy strikes: "We instituted the 24-hour rule at our house," Williams says. "Anything over a certain dollar amount that isn't food, we have to wait 24 hours to buy. Had we not observed that ...I would have a fire engine red wicker chair. It would have been so cute on the Fourth of July for about 20 minutes."